This documentary about the untold history of dinosaurs, A Restoring Genesis Film named The Secret History of Dinosaurs, offers an alternative view on the history of dinosaurs (as opposed to the mainstream understanding of the history of dinosaurs taught in government schools). The same public schools that teach you that big assed dinosaurs magically morphed into birds somehow. The Holy Bible, one of the most accurate historical documents known to man, is referenced in the documentary. 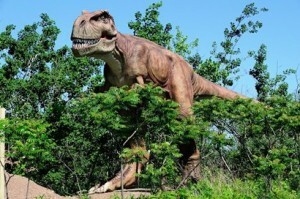 The first use of the word Dinosaur was in 1841 at a meeting of scientists in Europe. the word wasn’t even respected enough to make it into dictionaries until after 1890. The word in use before the invention of the term “Dinosaur” was dragon. A Great Source of Meat. The Dragon, It turned into a bird! all words from different cultures, used to describe dragons/dinosaurs. This suggests that the people who used these words needed the terms to describe or identify what they saw. Dragons are listed as “being currently rare” in old school dictionaries. Beowulf and the Loch Ness monsters are thought to be dragons living in modernity. Thousands of sculptures, artworks, and books that depict dragons survive in China to this day. Ancient Chinese are said to have kept dragons as pets for medicinal purposes.The Chinese documents referenced also refer to the Great Worldwide Flood of the days Noah. Herodotus documented small flying reptiles (pterodactyls) in Arabia. Marco Polo also documented (See: The Travels of Marco Polo) that the Chinese Emperor used dragons to pull his chariot. The Historia Animalium, a record book of living animals, did not indicate that the dinosaur ceased to exist, but said they were rare, and smaller by the 1500’s.